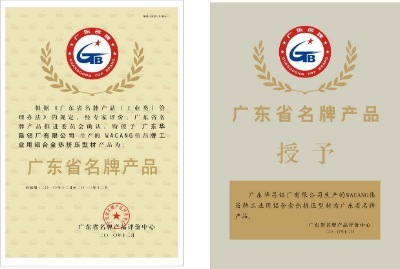 Company Overview - Guangdong Huachang Aluminum Factory Co., Ltd.
Guangdong Huachang Aluminum Factory Co., Ltd.
14YRSGuangdong Huachang Aluminum Factory Co., Ltd. 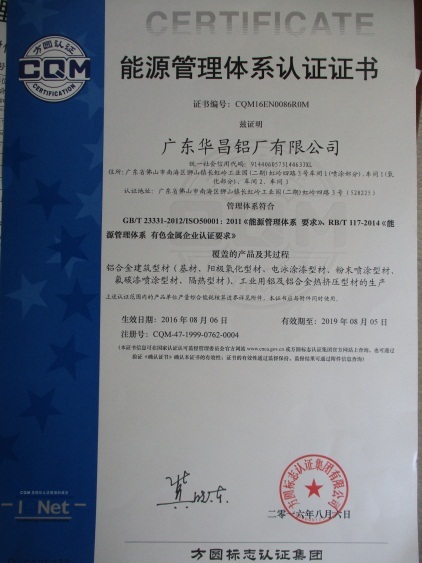 Establish in 1990s, Guangdong Huachang Aluminum Factory Co., Ltd. is located in Dali Town, known as "the No. 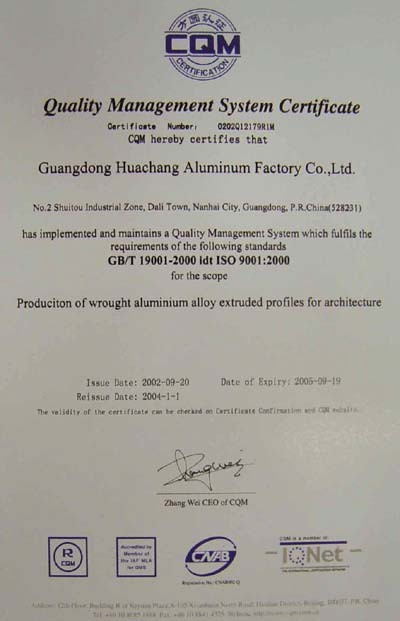 1 Aluminum Town of China", in Foshan City, Guangdong Province. 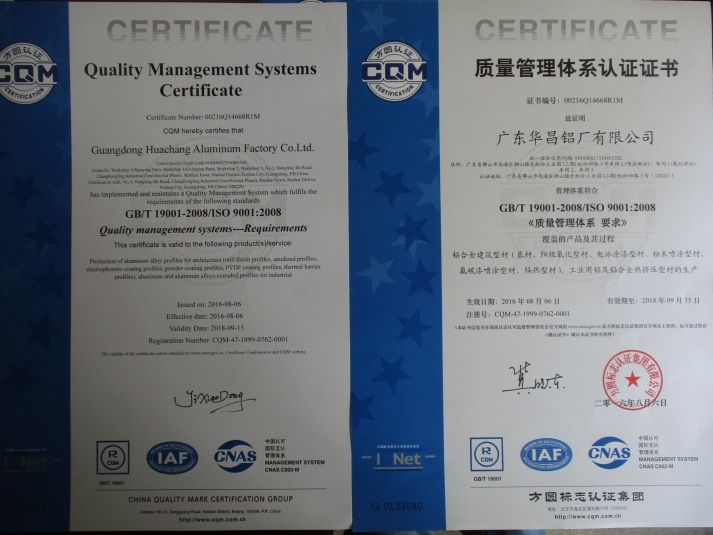 For more than ten years, our company has been placing great emphasis on technological innovation which is based on product quality and puts customers first. 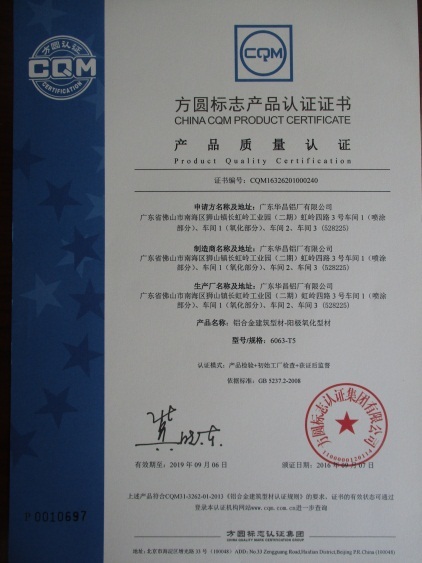 Our company has developed rapidly and now become a large modern enterprise specializing in manufacturing aluminum profiles. 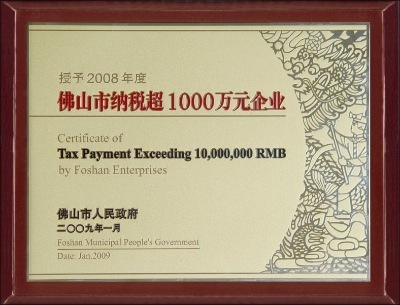 We set up a branch company in Australia in 2000. 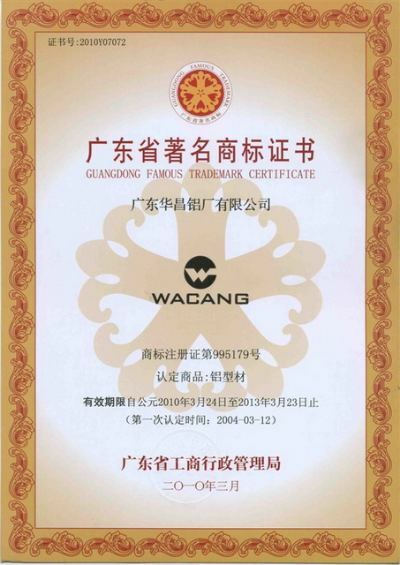 Our company covers 100,000 square meters. Annual production capacity is in excess of 50,000MT. 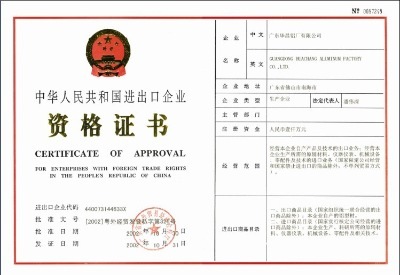 Our company owns 6 world class founding production lines employing the "high density hot-top casting process" as well as 24 extrusion production lines, 4 oxidative electrophoresis production lines imported from Japan, 2 powder-coating production lines imported from Germany and 1 thermal-break profile processing. 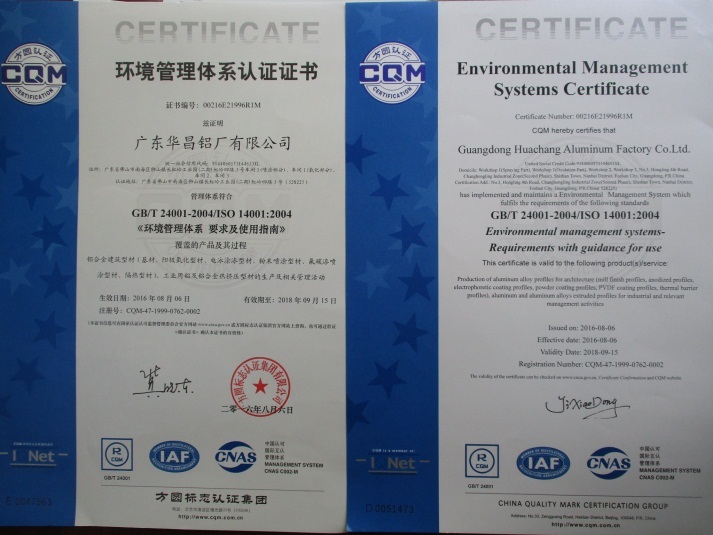 We also possess a comprehensive range of testing equipment worth millions of dollars. Our products include thousands of different products such as doors, windows, curtain walls as well as general purpose industrial section bars. 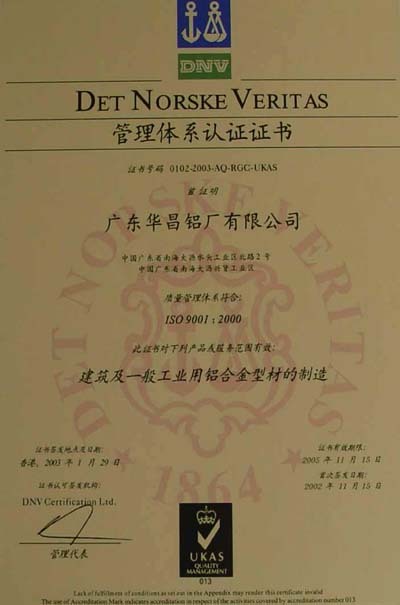 Our company adopts the comprehensive ISO9001 quality management system, and has met the standards of China Certification Committee for Quality Mark (CQM) and the ISO9001 of the DNV of Norway. 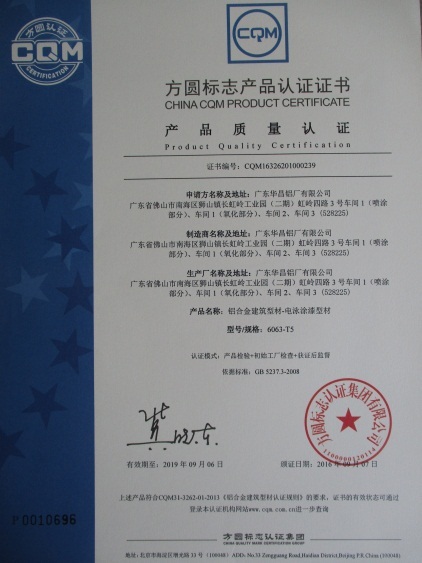 We have won good honors for producing the first batch of products "exempt from quality surveillance inspection in China", and also reputed to be "Guangdong Famous Brands" and "Guangdong Famous Labels". 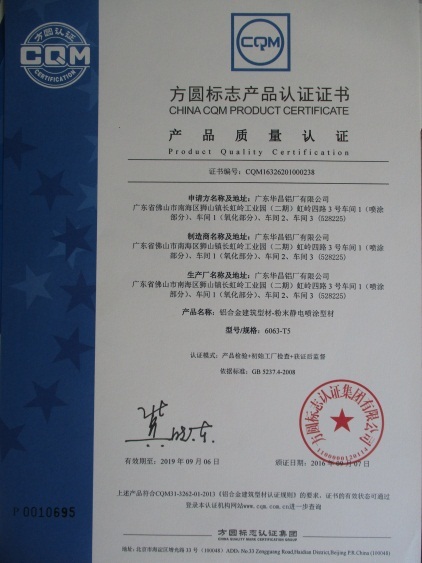 Our products are sold in over 20 provinces, municipalities and autonomous regions and are exported to Southeast Asia, Australia and the United States. Our company currently employs over 1,600 staff and workers, including 4 senior managers with MBA qualifications and 20 senior and mid-level engineers and 100-plus technicians. 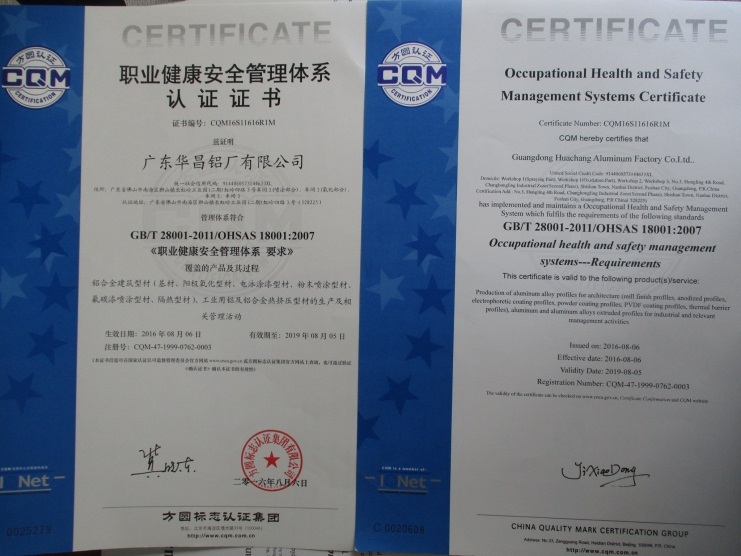 We provide regular skill and safety training to employees to meet the development needs of our company. 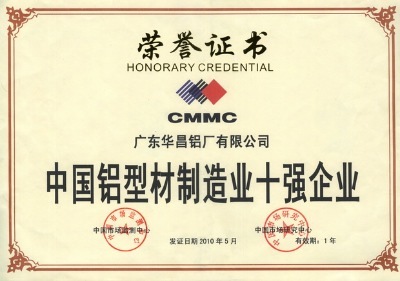 Guided by the business principles of integrity, efficiency, pragmatism and advancement, our company seeks to create prestigious brands in the market and offer top-class products, competitive prices and high quality services to customers.We are looking forward to establish long-term business relationships with prospective customers. Please feel free to contact us. Production of wrought aluminium alloy extruded profiles for architecture. Aluminium alloy extruded profiles for architecture. 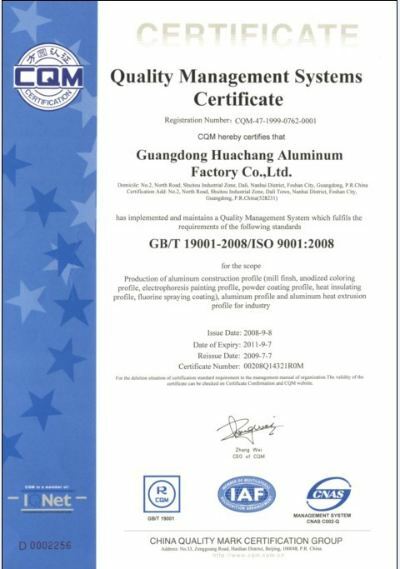 Production of Aluminum Alloy Profiles for Architecture (Mill Finish Profiles, Anodized Profiles, Electrophoretic Coating Profiles, Powder Coating Profiles, PVDF Coating Profiles, Thermal Barrier Profiles), Aluminum and Aluminum Alloys Extruded Profiles for Industrial. 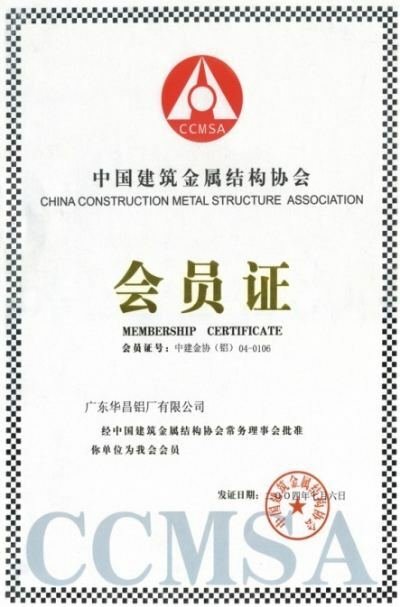 Production of Aluminum Alloy Profiles for Architecture (Mill Finish Profiles, Anodized Profiles, Electrophoretic Coating Profiles, Powder Coating Profiles, PVDF Coating Profiles, Thermal Barrier Profiles), Aluminum and Aluminum Alloys Extruded Profiles for Industrial and Relevant Management Activities.